Marley Air-Con Duct is ideal for New Zealand conditions which call for high impact strength and both indoor and outdoor use. It is frequently used in air conditioning and heat pump installations. 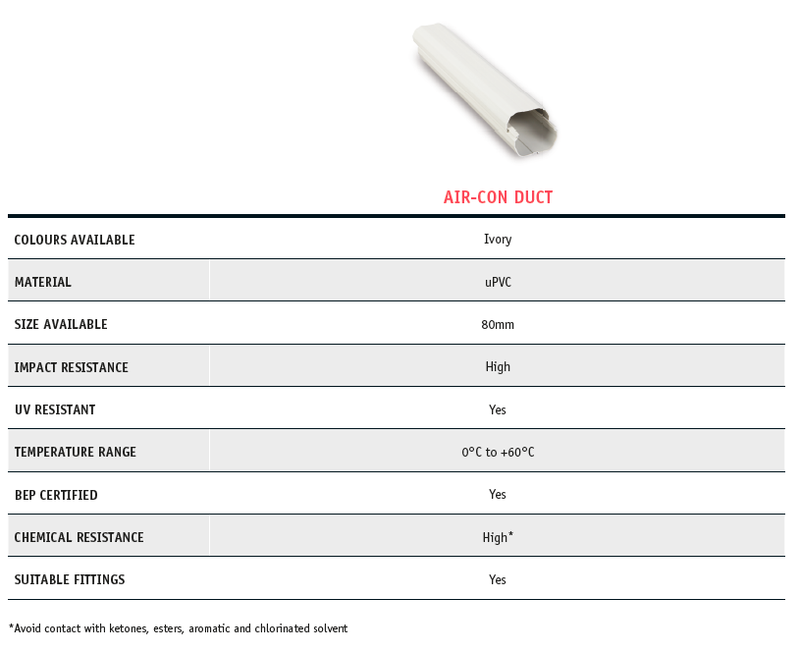 Marley Air-Con Duct is manufactured from premium grade uPVC with excellent U.V. resistance. 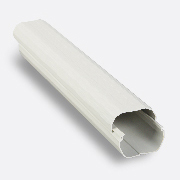 It is available in 80mm and 100mm, along with a range of fittings and bends. In an independent weathering test, various brands of Air-Con duct were exposed to 1000 hours of UV light and condensation testing. 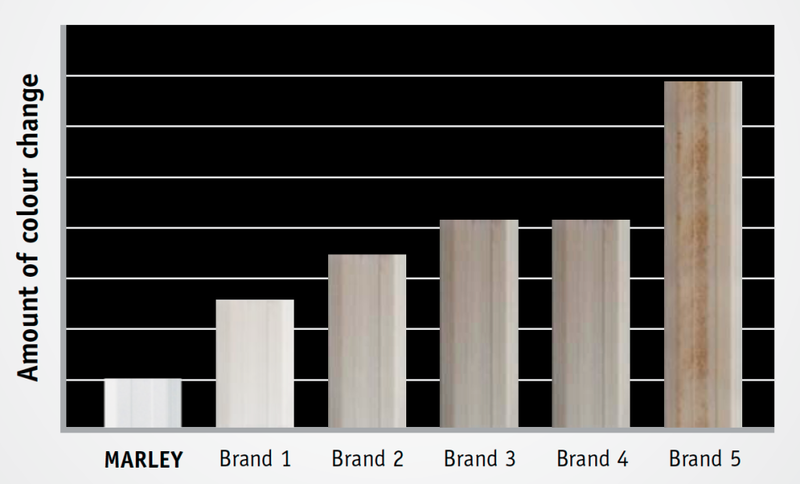 Marley Air-Con duct came out on top with the least amount of colour change; indicating the highest resistance to weathering in our conditions.